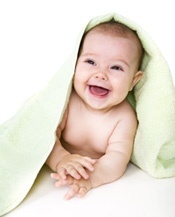 Chicago, IL Fertility Reviews - Laurence A. Jacobs, M.D. Why Is Dr. Jacobs the Best Fertility Doctor for You? Chicago Fertility Doctor - Laurence A. Jacobs, M.D. In Vitro Fertilization (IVF) Chicago - Laurence A. Jacobs, M.D. Chicago Infertility Centers for IVF Testimonials -- Laurence Jacobs, M.D. Male Infertility Specialist Chicago, IL - Laurence Jacobs, M.D. Does Losing Weight Increase Fertility? How Do You Treat Unexplained Infertility? "I do not have enough words to express for great service we received at FCI. Our story would have a bed ending if we had stuck with the other clinic. After extremely bed experience at other clinic, decided to find a best doctor. I found Dr Jacobs and did an excellent research and thought to give a try. The first appointment was so good that we immediately decided to use his expertise. He assured us that he will do everything to have a baby. The process went smooth and 1st transfer, got positive. yahoo!!! In my life, I will not allow any one to treat me except Dr Jacobs. I do not want to write my detail story here but Mr Jacobs is the Man. FCI is the best. I do not understand why people think FCI as a cattle farm. FCI is my go to now. Moreover, I always communicated with Nurses through Email and got a response immediately. I do not recommend you to call Nurse and expect them to pick your call right away as they are busy with the Patients. I do not want to give the name of the other clinic b'z, We did not go for IVF at other clinic and the Protocol given by Dr Jacobs was completely different than what the other clinic had given us. Once Again Thank you Dr J and His Entire Team." "My husband and I tried for 3 years to conceive through IVF. Our first two rounds of IVF failed with another clinic so we sought out help from Dr. Jacobs. He was more than happy to take over our case and treated my PCOS aggressively, as no other doctor did. He ran every test possible to make sure we had all of the information possible before spending the money on another embryo transfer and more heartache. He placed me on a medicine protocol that my body took to wonderfully and we are currently 10 weeks pregnant with our first child. We could not be more ecstatic and so appreciative of Dr. Jacobs and his staff for helping us through this difficult time in our lives and making our dreams come true. We now have our very own miracle on the way, all thanks to them! His nurse Helen is a God send and we are so grateful for her as well! FCI is amazing and treated my husband and I so good. When we decide to have a second child we will be back to see Dr. Jacobs!" I stare at the screen of my computer trying to come up with the words to thank you for all you have done to create our incredible family. You literally have created this family. You are amazing at what you do. From beginning to end, you make the journey comfortable and manageable. I know there are a lot of fertility doctors out there, but I feel so fortunate that I was referred to you. I think it's so important to feel confident and comfortable with your doctor, and that is exactly how I feel with you. Every time I leave an appointment with you, I walk away feeling so informed and ready to move ahead. There are so many unknowns along the way, but you have a way of making it all manageable. Your unique profession is one to be admired. I think anyone would agree with that. However, as one of your patients who have been down this road three times with you, I can say with confidence — you are an extraordinary doctor. You have always made me feel calm, hopeful and so well taken care of. I never question anything you tell me to do, and I always feel you give me the time I need to have my questions and concerns addressed. Thank you again for all that you do on a daily basis. First and foremost, thank you for taking time out of your schedule to so generously meet with my husband and I. I've done so much research on this subject matter and feel better informed after your meeting than I have felt since I was diagnosed. Never in my 5 years of market research experience have I found staff as friendly, courteous, and knowledgeable as your staff. Not only were they extremely helpful, but they were knowledgeable about the clinic. I commend you and your staff for knowing the importance of making a patient feel at ease. Most patient interactions are with the desk and nursing staff, these people can make all the difference in the patient care. Your staff went out of their way to help me and make my husband and I feel important. 4 week-ends ago our dreams became true with the birth of our long awaited baby thanks to your skills and persistence in believing that success is around the corner through all these years. We want of course to also thank Shirley Zager who has also worked hard to provide us with the successful match -up and make it through the unexpected set-backs. She has done a great job in supporting us and advising us and will be valuable for many future parents who will be in the situation we were last year. I want to update you with my wonderful news. I want to thank you again from the bottom of my heart for making my family complete. You and your staff were amazing and pulled us through a very challenging time in our lives. I will be sending a birth announcement for the girls in the office to see our new addition. I have attached a few pics of … for you. When I look into his eyes and think of how his precious life started it makes me so grateful to you and everyone else at FCI who watched over him in the beginning of his life, beyond words!! Life is good!! We are very pleased to announce the birth of our son We wouldn't have him if it weren't for you. I want to thank you for all the years of work, and the support that you gave us throughout the entire process. It was a very long journey, but so worth it in the end. We have two beautiful children to show for it!!! We finally did it! There are no words to express how grateful we are for your support, commitment and patience over the years. From the bottom of our hearts thank you for all your help. I know it is not looking good at this point but we are not giving up yet either. I want you to know how much I appreciate your emails- your compassionate care has really made this process much easier. I think it is rare these days to find a doctor who is as attentive and concerned for his patients. Chris and I both appreciate your communications and despite the outcome of this pregnancy we both feel we are in the best medical care possible. Thank you again and we'll see again tomorrow. It is very difficult to find the words to express just how thankful we are for what you have done for us. As I look at my beautiful baby boy, the words "thank you" don't even come close to being enough. Our experience at FCI with you and your staff was wonderful. You are all such friendly and caring people who made us feel like we were your only patients. You got to know us as a couple and made us feel so comfortable each time we were in your office. We have told our family and friends all about you and will continue to do so. You have given us the one thing we wanted most in this world when we feared it would never happen—our perfect little boy. For that we are forever grateful. From the bottom of our hearts, thank you. I have a question for you, but first of all want to say thank you for the wonderful care you gave me last week. You made a very difficult process as tolerable as possible. * and I both really appreciated you doing the D&C, especially so quickly after getting the bad news on Tuesday. You have been so attentive and compassionate throughout this whole process, I just feel so grateful to be in your hands, especially now. I apologize it has taken me so long to write this testimonial and get it to you. Life has been blissfully busy since the birth of our son in January 2009. My partner and I are extremely grateful to you and your staff for accepting that we wanted a baby, treating us with the utmost respect, and being honest and informative from the beginning with our options. We were extremely fortunate to have been successful on the first try with artificial insemination. I wanted to thank you and all your staff, from the front desk ladies who are always extremely helpful, to the nurses and techs who were so patient and optimistic and excited for me and my partner. I remember the ultrasound tech being more excited than I was when we saw the heartbeat at 6 weeks. I think that was mostly due to me being in shock, but it was so nice to have that support! I can't thank you enough for being so honest and accessible and replying to emails so quickly with any questions I had. Soon, we will be celebrating his 1st birthday and that wouldn't be possible if it wasn't for you, your staff, and all the FCI employees. I can't thank you enough for helping us have a son! It is a dream come true. I never thought this could be a part of my life. I want other domestic partners out there that are wishing and hoping they can have children to know that your door is open and that you welcome ANYONE/EVERYONE who is wishing to start a family of their own! At this time of year when I reflect on everyone and everything I am grateful for, you will be a part of that this year and in the future. Thank you for your expertise and kindness during that journey. Take care and hope you have a wonderful Thanksgiving too!" "Thanks for the email, it means a lot. It was a long shot, so I am not totally blown away. I can honestly say I am happy we gave it one last go! We will make an appointment to discuss the future options. I actually think we are going to end our journey at this point, but would at least like to touch base with a final appointment. Thanks again for giving it all you got! You and your whole staff have been wonderful to work with. Thank you so much for thinking of me. It means a lot to me to have such a wonderful doctor who truly cares about me. You are the best doctor! I am doing good and taking extra precautions and relaxing. I keep saying to myself 1 more week :). I hope this is it. Thank you again for all of your advice and your support. Have a wonderful day. We want to thank you for your wisdom and guidance on our road to becoming a family. You and everyone at FCI truly are an understanding and dedicated group of people. We have felt great about our experience! It is with heartfelt gratitude that we thank you for helping to extend our family. Your candor, your skill and your guidance have truly blessed us. We look forward to our baby's arrival. Thank you so much for all you've done for us. Without you we wouldn't have our family. We are eternally grateful to you and FCI. She's here and she's beautiful. Such a joy. Thank you so much for everything – your guidance, advice and approach through the whole process. We turned to you when we had almost given up. Thanks for picking up the ball – making us at ease and – of course – to the success. One year ago Christmas Eve we found out our baby was on her way. Thank you for the best Christmas present we could ever imagine!! We thank you once again for your skill, expertise, advice and support. Without you we would not have our two precious children. We are very fortunate to have had you as our RE [reproductive endocrinologist]. Your expertise, your intelligence and your confidence made it easy to trust this process. Your wonderful humor made us smile and laugh … despite the many tears. We are so thankful to have twins on the way! I'm glad you can finally put down my BIG FAT file!! We don't even know how to begin to thank you for helping us conceive our son. We are in such complete amazement of how perfect he is and how blessed we are that there are doctors like you that care enough to help people like us! We realize how fortunate we are every time we look at our baby. Please know we appreciate all of your advice and effort with us through the IVF process. We will certainly never forget you and your staff. Before we started seeing you, we went to a different clinic. I cannot tell you how happy we were after switching to your office. Everyone on the staff was so warm and friendly, something we did not experience at [the first clinic]. We certainly felt like a number there. Your office was completely opposite. We could not believe the amount of time you spent with us in our consultation. We knew after the informative 1.5-hour initial consult, we made the right decision to switch. Thank you for that, it was extremely important for us to learn about the process and have enough time to ask questions without feeling rushed. Please know how much we appreciate your time and your help. We can't thank you enough. Although we are hoping for a future miracle conception without your help, we know it is more realistic we will be seeing you soon! Our baby would love a brother or sister! Thank you, thank you, thank you! … Our family is very thankful for all of the positive encouragement provided by you and the staff at the Glenview, Buffalo Grove and Chicago offices. Thank you from the bottom of our hearts! I just celebrated my twins' 1st birthday and have been reflecting on the journey that brought me to this point. I really want to let you know how truly grateful and thankful I am to have had you as my RE [reproductive endocrinologist]. You are truly an amazing doctor and so good at what you do. I hope that you recognize the joy you have brought to so many patients that may not have been able to have children had it not been for REs such as yourself. My life has been so much more fulfilled since the birth of my twins. I know that you and the staff at FCI are a big part of that. I will forever be grateful for having had the experience that has given me my angels and I have you to thank for it. I truly hope that you continue in your line of work as you have brought such joy to my life and to the lives of so many others. There seems to be a lack of concern for the patient in almost every doctor's office I have been to, but I have to say that I really felt like I was your only patient when I met with you. Especially for such a personal subject as fertility, it's nice to know that there is someone who is available to answer my questions whenever I need information. Your prompt response to my emails is awesome!! Dr. Jacobs helped bless us with our three wonderful children after years of dealing with infertility. We were feeling so hopeless and he encouraged us that there were options and made us feel confident that we would succeed; he was right. We could not have asked for a kinder, more caring doctor. He treats his patients like friends; even replying quickly to emails which help assure you through the difficult process of treatments. He is extremely knowledgeable and informative and explains every step taken. We expected to just have a doctor when we worked with him but we found so much more in him. We expect to be in touch with him for a very long time. I want to thank you for making my dream of becoming pregnant come true. You and your team were always there for me to help and guide me through this difficult and stressful process of IVF. You gave me hope, the best results and a permanent smile on my face. You are one of the best doctors I've ever known and a wonderful person and it's a privilege to have met you. Thank you again for everything you have done for me and I hope God provides you and your family everything you wish for. We are so thankful for all that you have done to help us realize our dream. You never gave up on us, and went above and beyond exceptional care. God answered our prayers when we stepped into your office. Looking forward to Baby #2. Thank you, thank you, thank you!!! Thank you so much for continuing to be optimistic and enthusiastic throughout all of our cycles. There were so many times I wanted to give up, but you always had another idea! Thank you again for everything you did to make my dream come true. I feel so blessed!! Dr. Jacobs and FCI were great! Dr. Jacobs was always available for any questions or concerns we had. He never made us feel like a science experiment. He was very friendly and caring. He never gave up on us! We have no other words to express how we feel other than "thank you, thank you, thank you." We feel so lucky and fortunate. Thank you again for allowing us to experience the joy of another healthy baby. We will never forget the professionalism you and your staff has shown. We will never forget the help you provided to us in achieving something we didn't think was possible. Please never forget how important the work you do is. I certainly will recommend you to friends and family. From the bottom of our hearts, thank you. We just wanted to share our new addition with you — healthy baby boy. We would not have our 3 children without you. Thank you for the excellent care you have given us. Your patients are very lucky to have you as their doctor. Thank you. You and your staff have been wonderful! We have been happy with FCI's service since our first phone call to the office as a new patient. Since then, you have all exceeded our expectations as our health care provider. Never have I felt so comfortable to talk to someone about such a sensitive issue as I have with each and every one that has dealt with our journey to conception. There is always a smiling face at the front desk and countless witty/humor-filled conversations with any one of the nurses on any given visit. I cannot say it enough how wonderful you and your staff are. I consider myself VERY blessed to have found such a great doctor and such a kind and considerate staff. Roberta is an angel and has really been a huge support thru my difficult summer and my new IVF journey. Tammy and Trish always are there to patiently answer ALL of my questions and give a hug if I need it. Gerri and Nancy always are there with a smile and do all they can to work with my schedule. Nancy always gives a genuine "good luck" before I go — it means a lot. Thank you from the bottom of my heart. You guys are the best. What an incredible journey! And never thought that I'd see the day that I would be a mother but here it is at last! I can't even express enough thanks to you and your staff. I couldn't have had a better experience with you and FCI. Every staff member was so welcoming and helpful. I rarely see that kind of attitude at other doctors' offices. It shows everyone at FCI truly loves what they do. Thank you for the greatest gift I could ever have dreamed of — Motherhood! I will keep you updated when they are born! Thanks again and God's Blessings! Thank you! Thank you! Thank you! Words cannot express the gratitude that my husband and I have for everything you, your nursing staff, and the rest of your staff have done to make this happen. I am so grateful! It makes all the suffering and heartache worth every minute. Thank you!!!!! Thank you for real for being so patient and thorough with me. It helps more than you know during times like these when you want so many answers and the emotions are so high:) You always email me clear answers and I love feeling connected to you during stressful times! I want to thank you and your wonderful FCI team for my happiness — my Twins. I still remember the struggles with my infertility: many shots, canceled cycles, stubborn ovaries, frustration and sadness and finally the day of happiness. You were always upbeat and positive, yet very honest with us. Sorry for all the emails! Your advice is always wise, and I am glad to have been in your care. Just having the chance to have 3 beautiful children, when 4 years ago we thought we'd be childless is a miracle for us. Dr. Jacobs helped us achieve our dream of having a family. We are now the proud parents of boy/girl twins. We should have been there at least 3-5 years earlier. To those who are experiencing difficulties conceiving please don't wait too long or you limit your options. Dr. Jacobs kept us positive during the long process. My advice is never give up till all your options are exhausted. The single best piece of advice we received on this journey came from Dr. Jacobs: Don't celebrate the high points too much and don't get too low on the disappointments. Once you have that bundle (those bundles) of love in your arms you will forget all the trials and hardships along the way. Dr. Jacobs worked tirelessly with us to determine the best course of action each step of the way. One of the things that really separates him from his peers is his willingness to take time to answer any and all questions. He also promptly, personally returns all e-mails. I do not really know of any other doctors that do this. He and all his staff are so kind and friendly that we came to see them as not only our medical team, but friends. Thank you for all you and your staff did to make our dream come true. To those experiencing the same difficulties that we did, you will not find a more talented or carrying doctor than Dr. Jacobs and his team. My husband and I want to express our gratitude for making our experience under your care so nice. It meant a lot to us. As an excellent medical professional and an exemplary person, we were comfortable and grateful to be working with you. Thanks for your email Dr. Jacobs. I am keeping my fingers crossed so this time we go all the way to the end, with a healthy and full blown pregnancy. I can't put into words how wonderful you and your staff have been. It's a true blessing to go through all this with you guys. You are awesome! This would not be possible without you, and you have no idea how much we appreciate everything you have done for us. You are a wonderful doctor and have really made all of our dreams come true, and for that we cannot thank you enough! Thank you for everything! What a wonderful Christmas gift. Your counseling, articles and your Fit Fertile program were awesome. You were patient and respectful of my weight problem. I was someone who had lost hope of ever having our own children. The weight loss did the job and built me up emotionally. But not only did it help me get healthy, it helped me have my family. I am forever grateful to you. Thanks for your time. My husband and I have really appreciated the care we receive at your office. Your team is incredible. To walk through a difficult time and find such love has been wonderful. I know that I can't change the results whatever they are and I did the best I could!! And I am happy with that. I cannot thank you enough for all that you have done, all of you, you are the BEST!!! Whichever way this turns out it certainly has been a journey I will never forget and has made me a much stronger person. Infertility is physically, emotionally, and financially grueling. If not for the compassionate, personalized care from Dr. Jacobs and his team, I know we could not have endured all the rounds of infertility treatment we underwent. Dr. Jacobs was with us every step of the way - for every cycle. He is hands on and very accessible, and not just during office hours. Thanks to e-mail, I got same day answers to all my questions and concerns! 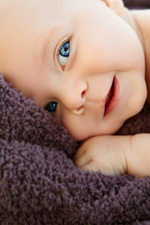 He ensured my husband and I were made aware of every available option that the latest infertility treatments offered. I'm thrilled to say that we're 4 and 1/2 months pregnant thanks to the expert care of Dr. Jacobs. I would highly recommend Dr. Jacobs and FCI to anyone struggling with infertility. When we came to see you initially we were very frustrated. We had no trouble conceiving initially but after the second miscarriage felt we needed help. The first fertility doctor immediately prescribed fertility drugs. We felt that he had not really examined the cause of the miscarriages. When those initial treatments failed he proposed a more aggressive course. We felt as though we had gone from a problem with miscarriages to a real problem with conceiving. We were relieved and very hopeful after our first meeting with you. You were so open to our concerns and letting us have a voice in our treatment plan. We are so thankful that with your help we achieved a healthy pregnancy two months after we first saw you. The joy of being a parent is even greater than we imagined. We will definitely see you for number two!! To go through the infertility process again after 4 years could be discouraging, However, you gave me peace of mind, encouragement and hope. I walked out of our first meeting with a positive feeling that you were going to give it your all so that I could have the chance of achieving pregnancy. The Crystal Lake staff are the most compassionate, kind, understanding individuals and all these attributes are a reflection of their leader. Even the small things as giving princess stickers to my 3 year old daughter, it meant a lot to us. Thank you for your compassion, humor, and for being available for your patients. I wish more doctors were like you! We would like to thank you and all your staff for the exceptional experience at your fertility center. Everyone has gone above and beyond their usual responsibilities. We cannot thank you enough for all you have done for us. We have always been warmly greeted, whether it be on the phone or in person, by Nancy and Gerry. They have always been very helpful when scheduling or rescheduling appointments. They have been very efficient in handing information to the rest of the staff. Trish, Tammy and Nick were informative and answered all my questions very professionally. They have taken care of me very well. Two of your staff members, Lisa and Roberta, personally touched our hearts. They are not only professional, knowledgeable and confidant, they are also compassionate, understanding and very sincere. We feel lucky to have them helping us throughout this process, but more importantly, we feel lucky to know them. They both have made this stressful time in our lives that much easier. We thank them with all our hearts for that. Thank you all again for everything you do everyday. We are so happy and excited. As we felt in 2006 when we went through IVF, the experience this time again was absolutely wonderful due to your warm, friendly, and caring staff. You all truly love what you do and do it because you love it! That is quite obvious with each office visit. You all make your patients feel so comfortable and welcome, and treat us as a person, not just another chart number in and out of the office. You are a true miracle maker! Thank you Dr. Jacobs and your staff for making our one dream come true. How can we ever show you how thankful we are? It takes a gifted, knowledgeable, and special person to do what you do. Personally speaking, I believe God sends Angels for certain things in our lives — and you, Dr. Jacobs, were heaven sent! I just wanted to take a quick moment to thank you for your time and your friendly, patient, kind approach with me in your office yesterday. Dr. Anderson speaks very highly of you and now I understand why. Like most women you see, I am sure, I have a certain degree of trepidation about what lies ahead but I have zero doubt that I have selected the right physician. I wanted to take a minute to let you know what a wonderful staff you have at your Buffalo Grove office. I have been a patient for about 4 1/2 months, and I have had nothing but positive experiences with your staff. Everyone, from the receptionists to the US technicians, to the nurses, have made this difficult experience less painful. Two nurses, Carol and Pam, have been particularly pleasurable to work with. Both understand how difficult and uncomfortable it is to be an infertility patient, and are very caring and compassionate. They also show a lot of patience, and take the time to go over things in detail and answer my many questions several times if need be. "Dr. Jacobs has helped to make our dream come true of becoming parents just when we thought we had exhausted every option. 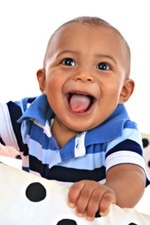 He is an extremely knowledgeable, patient person and doctor and reassured us constantly that with techniques and advancements, there were hopes of us having children. He also took time explaining things to us and gave us ideas we would have never thought of exploring on our own. He returns each and every email too (the only doctor I know that does that!) in a prompt and caring fashion and really helped me keep my head up when I was losing hope." "One day I happened to run into a woman who was pregnant and we began talking. I have to admit talking to pregnant women wasn't my favorite thing to do after I just went through two failed attempts at IVF and thousands and thousands of dollars later out of our savings account. At that time, I was without a baby , which I've been longing for so bad it hurt and losing hope that the dreams I had to be a mother to several children is a lost dream, and here I am talking to a happy pregnant lady. Well, she starts talking to me more and I decide to divulge my history (I'm not sure why but) she reaches out to me and says, you must come to my doctor. Dr. Laurence Jacobs, at Fertility Centers of Illinois in Crystal Lake, Illinois. This woman told me Dr. Jacobs figured out how to get her pregnant and she encouraged me not to give up hope. "Well, if you've been through IVF or you're trying to get pregnant, I don‚t have to go on and on about the hurt and pain. It is like a knife in your heart daily if I remember correctly. So, trying someone new didn't sound exciting or interesting just frightening again. Needless to say, I went in and met with Dr. Jacobs and the moment I met him I must say I decided I am in the right place with the right person. He is not only going to be my Doctor but a friend to me throughout this process I could just tell. As professional as he is in his field of medicine, he also had this fatherly, don't worry, I'm going to help you kind of attitude that I really liked. I was pumped up and actually excited to try again to have a baby. "Without going on about too many medicinal details. I did endure two more IVF rounds and finally got pregnant with triplets. Now, you might say, TRIPLETS‚ holy cow, that is not what anyone bargains for when wanting one baby but either way you look at it, it is success. And as shocking as it was for my husband and I, were are the happiest people on earth. Dr. Jacobs was phenomenal throughout all my appointments and the nursing staff was awesome at FCI. I couldn't have asked for friendlier people to handle such a delicate situation. Every step of the way was a success. Dr. Jacobs kept in touch with me throughout the entire process and that meant the WORLD to me. He was truly the right person at the right time. I owe him for my happiness." Read one patient's story (PDF) about her struggle with infertility and her experience with treatment from Dr. Jacobs. To schedule a consultation with Laurence Jacobs, M.D., contact the Crystal Lake or Buffalo Grove location of Fertility Centers of Illinois.